At the beginning of XVIII under the Great Northern War (1700—1721) hetman I. Mazepa, being entered into alliance with Polish King Stanisław I Leszczyński and Swedish King Charles (Karl) ХІІ, made an attempt to implement his military and political project aimed at withdrawal from protectorate of Muscovite state and establishment of the independent state at Ukrainian lands. He passed away on the night from 21st to 22nd September 1709 in the village Varnytsya near town Bendery. He was buried at St. George (Yuri) monastery in Galatz (Romania). Due to his diplomatic gift Mazepa succeeded to get along well with tsarina Sophia and duke V. Golitsin, actual governor of Muscovite government, as well as with their successor – tsar Peter І that has saved Ukraine from possible ruin after coup d’état in Muscovite tsardom in 1689. In spite of the ban against international diplomatic relations pursuant to “Kolomak clauses” – the agreement between Ukraine and Muscovite state signed during election of Mazepa as the hetman, he had numerous relations with monarchic courts of Europe, in particular, House of Wettin in Poland, dynasty of Giray in Crimea etc. In order to defend the southern borders he built fortresses in the south of Ukraine, namely, Novobogorodytska and Novo-Sergiyivs’ka on the river Samara. Seeking to find support among the Cossacks leaders of the Left-bank Ukraine, Mazepa displayed concern for provision of its representatives with estates that was witnessed by hetman’s decrees in favour of Vasil Borkovs’ky, Prokop Levenets’, Myhaylo Myklashevs’kyi, Ivan Skoropads’kyi and others. At the same time I. Mazepa was a defender of interests of the ordinary Cossacks and the peasants that was stated by the decrees dated 1691, 1692, 1693, 1701 etc., which governed the issues of taxation and compulsory service for landlords (”corvée”). Being fostered in principles of mercantilism Mazepa promoted the development of the state economy in different ways, uppermost the industrial production and commerce. Being conscious about education significance for the state constructive endeavour, I. Mazepa was persistently taking care of educational institutions. Particularly, he funded the construction of the buildings of Kyiv-Mohyla Academy and Chernigiv College which have been later enriched with modern for that time libraries and rare manuscripts. Hetman’s activity on publishing the works of Ukrainian literature, in particular the works of Athanasius Zarudnyi, Dmytro Tuptalo, Hryhorii Dvoyeslov and many others, had great significance for advance of the culture of that time. Indirectly Mazepa activity had an impact on development of architecture and fine art that gave all reasons to the scientists-art historians to talk about appearance in Ukraine of unique style at the end of XVII – beginning of XVIII – “Mazepa’s baroque”. Additionally, the purposeful policy of І. Mazepa has led to the overall renaissance that was reflected not only in development of all arts, but also in the area of philosophy, theology, social and natural sciences. I. Mazepa funded the construction, restoration and decoration of multiple ecclesiastical buildings. The most well-known were the buildings in the following monasteries: Kyievo-Pechers’ka lavra, Pustynno-Mykolayevskyi, Brats’kyi Bigoyavlens’kyi, Kyrylivs’kyi, Zolotoverho-Myhaylivs’kyi, Chernigivs’kyi Troits’ko-Illins’kyi, Lubens’kyi Mgars’kyi, Gustyns’kyi, Baturyns’kyi Krupnyts’kyi, Gluhivs’kyi, Petropavlivs’kyi, Domnyts’kyi, Makoshyns’kyi, Bahmats’kyi, Kamens’kyi, Lubets’kyi, cathedrals in Kyiv – Saint Sophia, in Pereyaslav and Chernigiv, churches in Baturyn, Digtyarivka etc. In addition to construction of new temples or rebuilding of ancient ones from princedom times, the hetman made precious gifts to the churches. Among them there were icons, crosses, chalices, mitres, chasubles, bells, silver sepulchres for holy relics, liturgical books made of jewels and set in and ornamented with gold, silver, precious stones, brocade, velvet and silk. 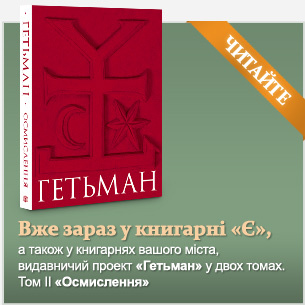 Hetman І. Mazepa also took care of the Orthodox Church beyond the borders of Ukraine. Among donations made by Mazepa to the foreign Orthodox patriarchates, the most known is the silver shroud that is stored in the sanctuary of Greek Orthodox Church of the Resurrection (Church of the Holy Sepulchre) in Jerusalem and is used only for special solemn ceremonies. Another known gift was the Gospel Book dated 1708, rewritten and decorated with engravings for liturgical service of Orthodox Syrians in Aleppo. Apart from these gifts, the hetman appropriated some funds for alms and charity to Orthodox Christians abroad. In whole, according to the estimates made by Cossack leaders immediately after І. Mazepa death, during 20 years of his hetmanship the hetman spent for patronage purposes at least 1.110.900 ducats, 9.243.000 zlotys and 186.000 imperials. IV. Ukraine represented in the World by I. Mazepa. Hetman І. Mazepa is the most reputed Ukraine’s representative in Europe and America. 186 engravings, 42 paintings, 22 musical compositions, 17 works of literature and six sculptures were devoted to the hetman. Among the most well-known works are the engravings of І. Myhura, І. Shchyrs’kyi, D. Galyahovs’kyi, L. Tarasevych, М. Berningrotg; portraits of unknowns artists of XVII – beginning of XVIII century that are kept in Ukrainian museums; historical and legendary canvas painted by known artists А. Deveria, Y. Kossak, L. Boulanger, J. Vernet, T. Géricault, Е. Delacroix, E. Harpenter, М. Heryms’kyi; poetry and prose of G. Byron, V. Hugo, J. Słowacki, A. Pushkin, F. Bulgarin, G. Asachi; musical instrumental and opera works of P. Sokalskyi, C. Pedrotti, C. Pourni, J. V. Ginton, F. Pedrell, P. Tchaikovsky, М. Grandval, F. Liszt, J. Matthias, A. Titov and S. Rachmaninoff.